In Heart Surgeon…Prince, Husband by Kate Hardy, all Prince Luciano Bianchi has ever wanted to be is a surgeon. He doesn’t want to rule his country, but it’s what is expected of him unless he can convince someone to change his country’s laws, so the eldest son doesn’t have to rule. The only thing he can think will convince his father he’s not fit to rule is by asking Dr Kelly Phillips to marry him. Their marriage will be in name only, but the more time Kelly and Luciano spend together, the harder it is to fight their attraction. 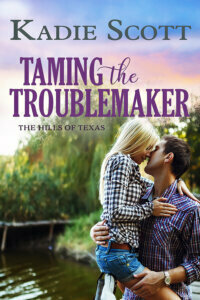 Will their marriage of convenience prove to be a good plan or will it be a complete disaster? The marriage of convenience trope can make for such an interesting story and Ms. Hardy has definitely penned a fascinating read in this book, even if it does start off a little slowly. 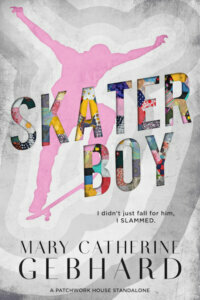 Still, once the hero confesses to the heroine his plan for a marriage of convenience, I was absolutely hooked. Will both the hero and heroine’s families be disappointed about their decision to get married? Will Luciano’s family finally give in and let him have the life he wants instead of what they want for him? With the dialogue, it was entertaining, fast-paced and drew me in right from the moment the hero and heroine meet. They start as work colleagues. Then their relationship progresses to that of really good friends where Luciano feels comfortable enough around Kelly to tell her anything and everything until he’s ready to ask such a big important question of her. Will Kelly agree right away? Will she need time to think about Luciano’s proposal and weigh all the pros and cons? Then again, her friends and family have been pressuring her to move on from the loss of her husband, so is it a good idea in order to escape their matchmaking? As for the main characters, I really enjoyed both the hero and heroine and I could understand why they make the decisions they do because of everything that’s happened in their lives. Both have lost people that make them fight for the people they help as doctors and I couldn’t help but sympathize with the pair, especially the heroine when things about her past come to light. Will she face a tough battle to make people realize how good of a doctor she is despite what happened in the past that made her feel inadequate because of someone she couldn’t help? Furthermore, Kelly is resilient, courageous and I liked that she took a chance on Luciano, even though she’ll always love the husband she lost and misses like crazy. While the hero, he’s a wonderful doctor, compassionate, determined to fight for what he wants in life and I liked how determined he was to win Kelly over. Really, he’s sweet in not pressuring her to make a decision and he makes her feel like she can let her guard down and give love a chance again. Overall, Ms. Hardy has delivered a really good read in this book where the chemistry between this couple was tangible and strong from the moment they meet; the romance was worth the wait; and the ending had me loving how the hero fights for his relationship with the heroine. No way he can let her get away when he loves her so much. However, it was the epilogue that wrapped this story up nicely, as both Luciano and Kelly realize that fighting for what they want is the best thing to happen in their lives. Really, everything worked out for the best. 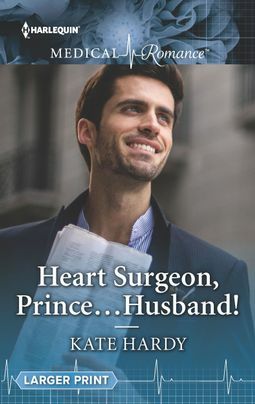 I would recommend Heart Surgeon…Prince, Husband by Kate Hardy, if you enjoy medical romances, the marriage of convenience trope or books by authors Scarlet Wilson, Meredith Webber, Louisa Heaton and Susan Carlisle. Prince Luciano Bianchi is a top heart surgeon – but as a future king he’s expected to rule, not operate! To convince his family that saving lives is where his heart lies, he proposes a temporary convenient marriage to his new colleague, workaholic cardiologist Kelly Phillips. Of course there’s no risk of either of them falling in love…until their whirlwind ‘romance’ starts to feel tantalisingly real! What more can a woman want! I mostly try to read nonfiction but I’m tempted. Thanks!